Cole Blaq hasn’t given much explanation for this space craft, but that doesn’t keep it from being cool. 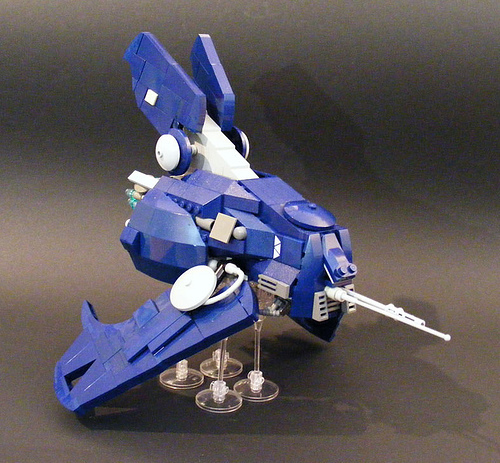 Simply called “Bluud,” the ship combines various angled pieces into a cohesive and pleasing form. The antennae in front offer just enough detailing to keep it from being an undifferentiated block of dark blue.